With a neutron star collision, the discovery of new planets, and the first gene therapy treatment approved in the United States, last year’s advancements in science and research offer a promising outlook for 2018. But with retractions and fake reviews back in the spotlight, 2018 is also looking like it will be fraught with challenges. This post from Publons originally appeared on the Publons blog under the title, “Let’s End Reviewer Fraud.” It is republished under a CC BY-NC-ND license. 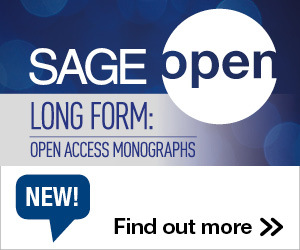 Publons is a partner of SAGE Publishing, which is also the parent of Social Science Space. This news doesn’t bode well for the year ahead of us. In fact, it closely echoes last April’s sweep of 107 retractions – and the 500 or so other cases we’ve already read about over the past few years. As stories of peer review malpractice continue to make headlines, it’s undermines the efforts of genuine reviewers, fractures the public’s trust in research, and slows down breakthrough discoveries. It’s also a major waste of experts’ time and taxpayer money. Only a few days after the Elsevier retractions, the National Institutes of Health (NIH) review panel had to be canceled due to the review integrity being compromised. These problem cases cannot continue. Trust has always been at the center of scholarly publication and it needs to be at the heart of peer review. With that being said, this blog is the first in a series of posts we’ll be writing on integrity and fraud in peer review. We’ll offer stories and interviews about problematic reviews and research, innovative technology in this space, and offer advice for what reviewers, editors, and publishers should be looking out for. We also have a few exciting announcements in the weeks and months to come, which will help bring better trust and efficiency to research through peer review. We’ll offer more information on those new tools shortly. But for now, here’s a bit of background about fraudulent peer reviewers and some cautionary steps publishers can take to help tackle the problem. Why does peer review fraud keep happening? Peer review is an important part of a researcher’s job, but it’s currently an undervalued one. The lack of transparency in review — both in terms of a reviewer’s workload and the process itself — means researchers receive little to no recognition for their efforts. This problem is only exacerbated in today’s publish or perish culture and shows peer review fraud is a symptom of a much larger problem. Researchers are inundated with multiple review requests. Today’s increasingly competitive environment means researchers are both under pressure to publish and receiving hundreds of review requests each year – many of which go unrewarded. Editors struggle to find enough qualified, motivated reviewers. Our recent survey revealed 52.9% of editors think finding reviewers is the hardest part of their job — namely because they might need to send 15 plus invitations to get two or more reviewers. The smallest tasks take the longest time. Even finding a reviewer’s current email address is a time-consuming and laborious task, which slows down science even further. Editors are left with few options. The ongoing struggle to find three or more reviewers lead some time-pressured editors — especially those less experienced or working in niche areas – to gamble on unknown reviewers they have little information on. Today’s publish or perish culture goes full circle. Some authors are so desperate to publish that they take advantage of struggling editors by impersonating or paying peer reviewers for fast and favorable feedback. Peer review sounds simple enough in theory, but that’s far from reality in practice. Virtually every scientific study that receives public attention has gone through this process, and the problems associated with it are becoming an ever-increasing strain on science and research. What can publishers do about it? Peer review has become a major editorial challenge for publishers worldwide, but options do exist to help tackle fraudulent peer reviewers. Reward your reviewers for their efforts. Our recent case study with American Society for Microbiology found that researchers are more willing to review and provide useful, constructive feedback if they know their contributions will be formally recognised. A higher level of vetting. This essentially means no longer accepting author-suggested reviewers at face value and / or discouraging reviewers from using non-institutional email addresses. (As highlighted above, however, the reality of this background checking actually makes peer review slower and costs publishers more for every article submitted). Expand the pool of reviewers with peer review training. This is a long-term approach but effective in helping advance researchers skills in review, and boosting the number of motivated, qualified researchers ready and willing to review. There are a number of courses to help train early career researchers, including Nature’s Masterclass, Springer’s Author Academy, and our own Publons Academy. Adopt one of the new fraud detection tools on the market. These spot unusual peer review submission and peer review activity warranting further investigation. Publishers could also employ their own data integrity detectives or hire outside professional services. Reviewer selection software. Powerful search and communication tools that enable editors to contact genuine and motivated reviewers via their current and verified email addresses. Publons’ Reviewer Connect, for example, will provide access to more than seven million expert reviewers, drawing from a combination of our unique reviewer database and the premier research platform, Web of Science. The beta version is coming out soon and you can read more about this here. Peer review fraud is a symptom of a larger problem, but there are ways we can motivate — rather than expect — reviewers to do a thoughtful, efficient, and honest job. By doing so, we can simultaneously work to eradicate the unscrupulous practices and problem cases that threaten the trust and confidence in peer review. Let’s make 2018 a year to remember and work together to end reviewer fraud once and for all. This entry was posted in Communication, Research Ethics and tagged Fraud, Peer Review, Publication Concerns, Publons. Bookmark the permalink. Post a comment or leave a trackback: Trackback URL.